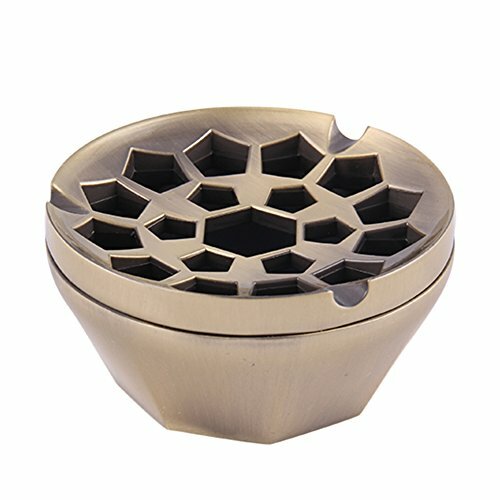 It is a very unique and creative ashtray,Honeycomb design.This metal windproof ashtray can keep smokers' butts under control and always keep your home and office clean.Placed on the table,allowing you to feel more happy joy. Perfect for study room,conference room,office,bedroom,restaurant,bar,coffee shop and so on. Double layers design,You can take off top layer to clean inside cigarette butts and ashes,easy cleaning. Great birthday;anniversary;Christmas gift for your beloved father,boyfriend or smoking friends. If you have any questions about this product by Honoro, contact us by completing and submitting the form below. If you are looking for a specif part number, please include it with your message.